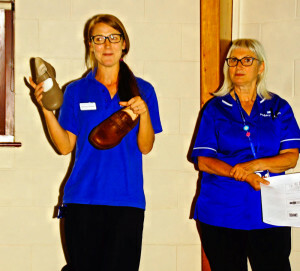 In August we were pleased to have Ann & Emma, Community Specialist Podiatrists from Gloucestershire Podiatry Services come to let us into the secrets of looking after our feet. 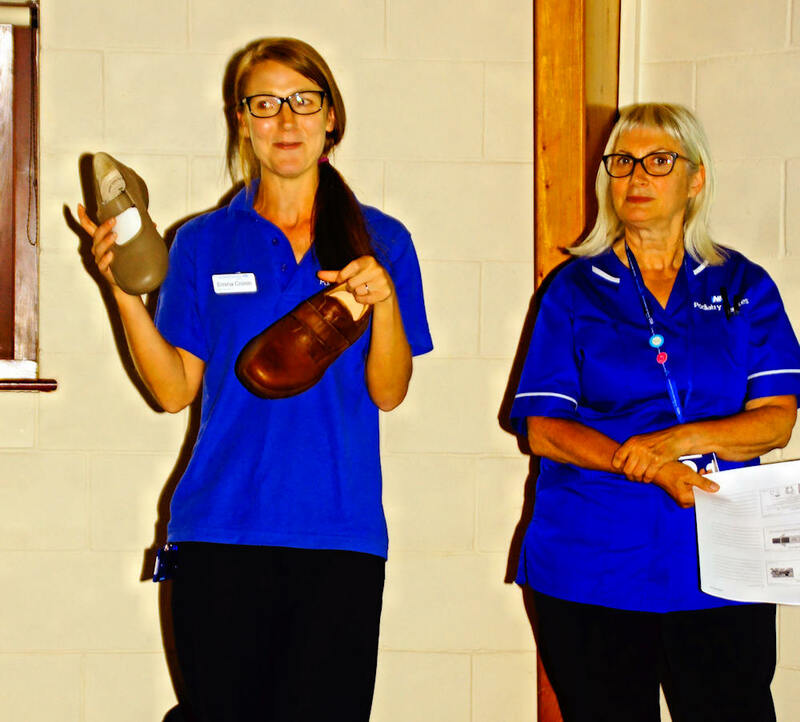 They gave a very in depth talk covering such things as the complications of diabetes, regularly checking our feet and what to look and what is the best sort of footwear. 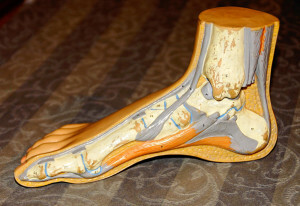 They illustrated their talk with some rather gruesome photos of what can go wrong if your feet are not cared for. For more info on footcare click on the following Diabetes UK – Footcare.